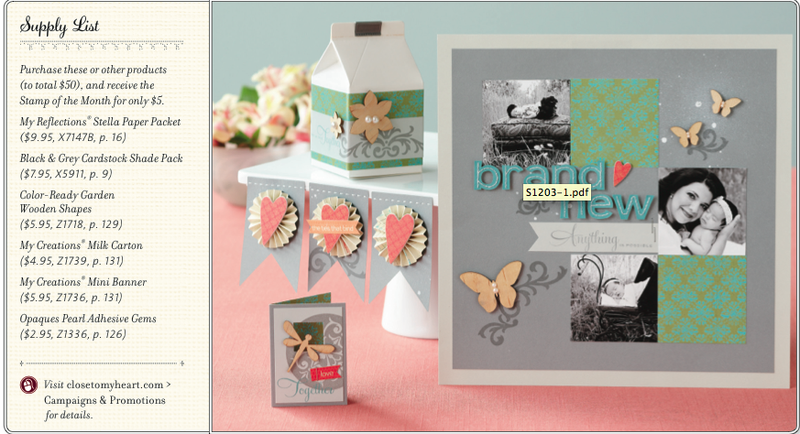 Sew Sweet N Crafty: I'm Guest Designer on Die Cuttin' Divas Today! I'm Guest Designer on Die Cuttin' Divas Today! 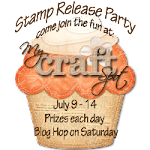 Today is an exciting day as I am a guest designer at Die Cuttin’ Divas. Today's theme is the Three R's: make something with a rosette, ribbon and rhinestones. Believe it or not, this is actually my try at rosettes. Turns out they are super quick and easy to make and they add great dimension to your project. The pink paper with the black dots was made on my Cricut Imagine using the Black and White Cartridge (which I heart). On the first card with the tic tac toe, I cut the squares with Spellbinders Square Swatches. I used the 2nd to smallest die to go on my 5.5" card. I used my Sew Easy Stamper to make the lines between the squares. I made my rosettes from 3 strips of paper cut at 1/2" x 6" and then scored them every 1/4". I used ribbon as my line to mark my tic tac toe win. I used some iRocks for my rhinestones. I inked the edges by using some Spun Sugar Distress Ink on the edge of the card. I did not put a sentiment on this card because I'm not sure for whom or what occasion I will pass this card out, so I will stamp this one later when the time comes. The second card is a standard A2 size and I used the pink and black dot paper for the background. I used this really wide 1.5" black and white striped ribbon. The rosette is made from a strip of paper cut at 1.5" x 12 inches. I cut at 1" circle for the center and added a pink flower rhinestone on top of the center. I glued the rosette on top of the ribbon. Next, I added a tag with a sentiment, both which are from My Creative time, called Teeny Tags. I really LOVE the way these cards came out--they are so cute. And you don't even need a Cricut to make them (you can easily use pattern paper from a stack and the Cricut Imagine wouldn't be necessary). 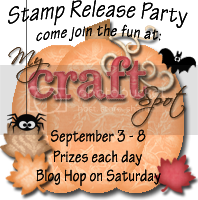 Don't forget to hop on over to Die Cuttin’ Divas and take a look around. Crafty friends don't feel shy, new followers are always welcome here at Sew Sweet N Crafty. Continue the fun and take a look at my other projects. I WILL BE GIVING AWAY A CTMH MINI STAMP SET FOR ORDERS PLACED WITH ME THIS MONTH (while supplies last). 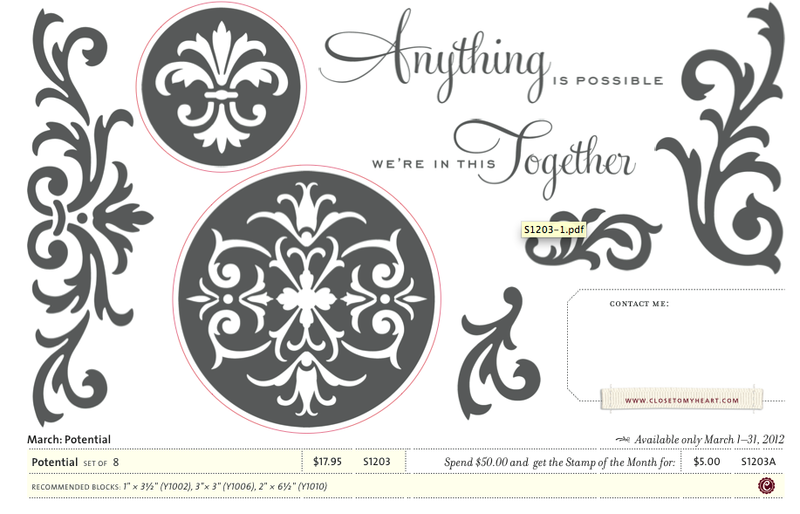 Also, if your order reaches $50 or more you can get the stamp of the month for only $5. The March stamp of the month is called Potential and coordinates with the Art Philosophycartridge. It cost $17.95 if purchased alone or only $5 with any purchase of $50 or more! 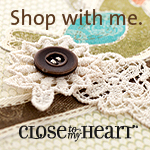 Click my CTMH icon at the upper left of the screen that says "Shop With Me" or click on my shopping cart at the bottom of my blog to be taken to my store and see all the amazing products you can purchase including all the awesome idea books. 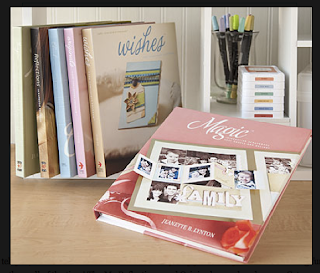 GRAB THESE IDEA BOOKS WHILE YOU STILL CAN THEY ARE BEING DISCONTINUED. Some are already sold out, so act quick. I love both of your cards. I am a sucker for polka dots and black and pink is one of my favorite color combinations. The checkerboard design is so adorable! I don't know how you made such tiny rosettes! Great job. These are super cute! Fun polka dot paper and great rosettes! Congrats on GD! Great job on both your cards at Guest Designer at DCD this week! Glad you could join us!--Pat N.